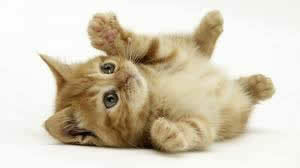 – All kittens require 2 vaccinations given 3-4 weeks apart. We usually vaccinate at 9 weeks of age, then again at 12 weeks of age. These vaccines are to protect kittens against “Feline Enteritis”, a disease with a high mortality rate and “Snuffles”, a common debilitating disease of kittens that causes respiratory disease. An annual booster vaccine is then required for all cats. There are also vaccines available for Chlamydia and Feline Aids, but such vaccines are either unproven or the disease incidence too low to recommend them in the routine vaccination protocol. – Naturally this topic always raises the most enquiries. Basically the idea is to try and stay with the commercially prepared foods as much as possible and preferably the well-known ones like Whiskas Kitten and Chef Kitten. Although they do not look very appetising to us, they are in fact very nutritious for kittens and more closely represent what they would normally eat in the wild i.e. they represent the whole carcase. Although meat, fish and chicken can be fed occasionally, these foods are unbalanced and deficient in the nutrients a kitten requires for meeting its growth demands. Meats, fish and chicken represent only the muscle portion of a carcase i.e. protein , whereas the commercial foods include other essential nutrients, minerals and vitamins. The cat is unique in being an obligate carnivore i.e. it must eat game or prey in order to acquire all the essential amino acids and fats that it can’t manufacture itself; unlike most other mammals, the cat is unusual in that there is a wide range of nutrients that it cannot synthesise within itself- these are called the essential nutrients and must be obtained from an external source. By eating a whole carcase, it acquires these essential nutrients already prepacked. Again, meeting these unique demands is best achieved with the commercial foods. Another common query concerns the concept of choice. Many people feel that a wide and varied diet has to be a good thing for their pet. It is however far better to put them on a narrow range of high quality foods than a wide range of low or medium quality foods. Super-premium foods will meet all their energy and nutrient requirements and prevent gastroenteric upsets commonly caused by a diet that is chopped and changed. Our recommendation is that you rear your kitten on a combination of canned food and one of the following high-quality cat biscuits: IAMS, EUKANUBA, ROYAL CANIN, HILLS. You may hear many rumours and misinformation about the biscuits for cats but we know them to be nutritious and very beneficial. Finally the number of feeds per day. There is no set rule for this because each kitten is different and the amounts change as the kitten gets older. Small meals fed three times daily until the kitten is 4-5 months old is usually sufficient but after a while you should be able to determine the feeding regime that suits both of you. Eventually you will find your cat will come and go as they please if you leave a bowl of dry biscuits out. Milk is another common enquiry that we have. Basically kittens don’t need milk in the diet at all; some people feel it’s a good source of calcium, but to meet the kitten’s calcium requirements for growth, more than one litre per day is required! It is a common cause of diarrhoea in the kitten because they lack the intestinal enzymes to digest the lactose in it and for this reason we don’t recommend it – water is better. However, if the kitten is drinking milk without diarrhoea then that is fine but it may not be worth the risk to find out! – All kittens are born with worms acquired from the mother both before and immediately after birth. These roundworms must be eliminated by a persistent worming programme. The easiest way to do this is use Advocate or Revolution which is simply applied to the skin on the back of the neck. This is done once every month through to 6 months of age. Or you can use the old-fashioned way of worm pills which are given fortnightly until they are 12 weeks of age, then monthly until 6 months of age. – We recommend Advantage (Kills Fleas) and Advocate (Kills Fleas and Worms).This is a topical treatment placed on the back of your pets neck once monthly. We recommend Advantage over other products as it has a faster reaction time and a proven success rate. Advantage can be used on your kitten from 9 weeks of age. – When your kitten is 6 months of age, it is old enough to be speyed or castrated. If you are not planning on breeding from your kitten, it is a good idea to have this done, not just for convenience reasons but there are significant health benefits as well. Kittens will naturally use litter or dirt boxes without special training but then should start to use the outside environment at 12-18 weeks of age. Always keep them inside at night. This stops them from getting into trouble with other cats, dogs, cars etc. and is not bad advice for adult cats as well. When playing with kittens, their strong innate hunting instincts come to the fore and you run the risk of them getting very excited and biting or scratching you as they would when playing with their littermates. To avoid this, it’s best to play with them with inanimate objects such as string, feathers, cat toys etc. It pays to think well ahead if you are planning a trip away. There are several good catteries, cat sitters and pet feeders in the area but they are in high demand. You can contact the clinic for these numbers.